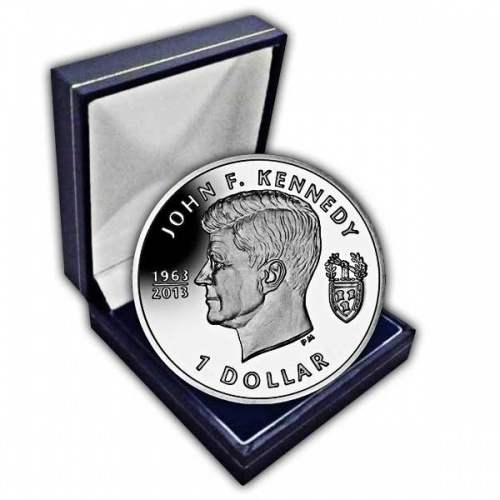 John F Kennedy's impressive life came to an awful end 50 years back when he was assassinated on 22nd November 1963. 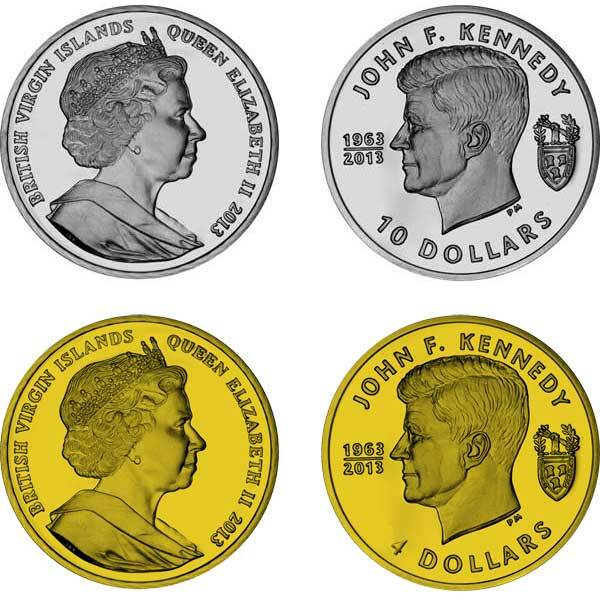 To commemorate the Anniversary, Pobjoy Mint is pleased to reveal this new coin on behalf of the British Virgin Islands. John Fitzgerald "Jack" Kennedy, JFK, was the 35th President of the United States, who served from January 1961 until his death in 1963 when he was assassinated in Dallas, Texas. In June 1963, President Kennedy, America's very first Irish-Catholic President, took a trip to his ancestral homeland of Ireland, a homecoming he later explained as "one of the most moving experiences of his life". On 28th June, the President was invited to deal with a joint session of the Seanad (the Upper Home of the Irish Parliament) and the Dail (the Lower House of the Irish Parliament). 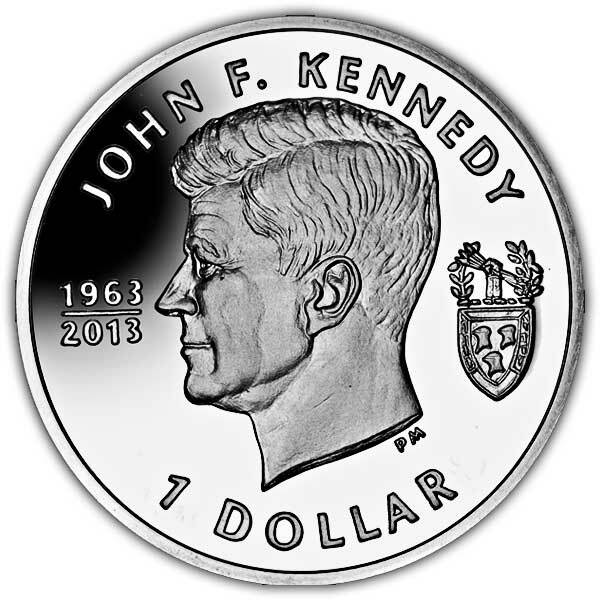 The coin itself carries a portrait of John F Kennedy and also a Coat of Arms. This Coat of Arms was presented to the President at the White House on St Patrick's Day in 1961 by T J Kiernan, the then Ambassador of the Republic of Ireland in behalf of the Irish Government. This was an extraordinary event as never in the past had a foreign sovereign country made such a grant to an American President. The obverse of the coin shows an effigy of Her Majesty Queen Elizabeth II by Ian Rank-Broadley FRBS.